Get a digital copy of our ASGCT 2018 poster! 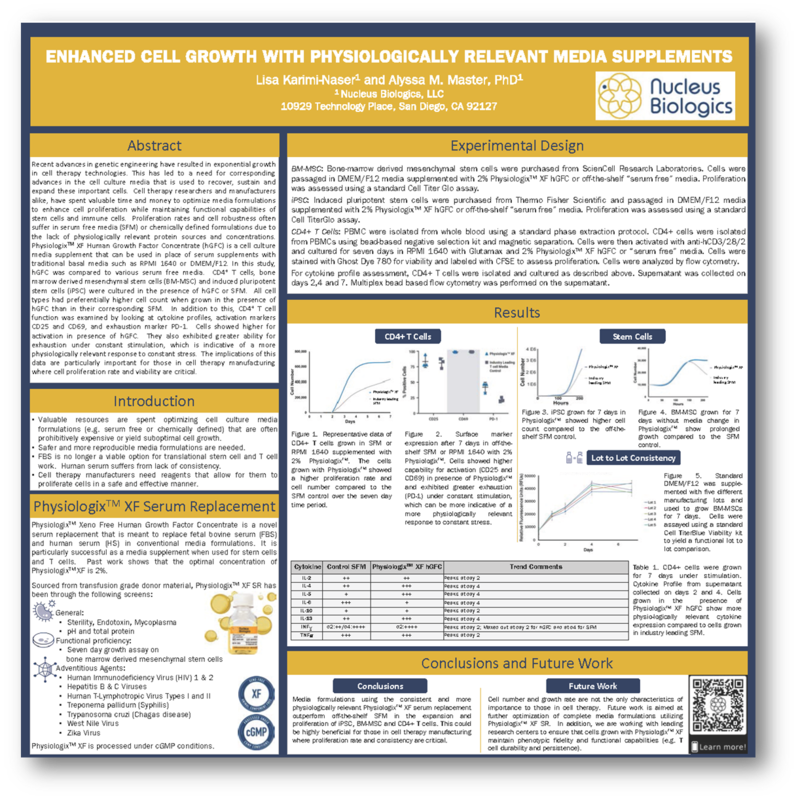 At the 2018 American Society of Gene and Cell Therapy Annual Meeting, Dr. Alyssa Master demonstrated the utility of Physiologix XF hGFC serum replacement as an innovative alternative to traditionally problematic cell therapy media formulations. To read the full poster, please fill out the form on the right to be directed to your free download.